The most important thing: all elements of this drawing have exactly the same scale. As you can see, I used flipped left side silhouette in place of the right side view. In fact, I should prepare a 2D drawing of the right side view first, then place it here. 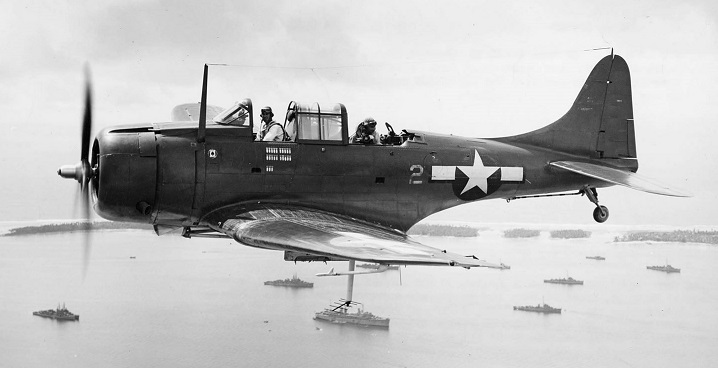 On the right side of the Dauntless fuselage, the steps to the gunner’s and pilot’s cockpits were located in different places. There was also a rectangular hatch of the luggage compartment. However, I am a little bit lazy, and I prefer recreating these details directly on the final textures. I will describe what I mean in August, when I report how I drew it. I split the mesh into the upper and lower surfaces, and mapped it onto the corresponding parts of the reference drawings. On some textures (for example: the camouflage) it will be impossible to obtain an ideal continuation of the picture mapped along this seam. It is not a problem on the sharp edges, like the wing trailing edge. However, the rounded leading edge is a different case: I prefer to keep it “in one piece”, hiding the texture seam in the first original panel seam on the lower surface of the wing. I still have to unwrap the engine cowling. When I finish it, I will publish a full post about this process, as well as the updated model. (I think that I will do it on next Sunday: July 24th). 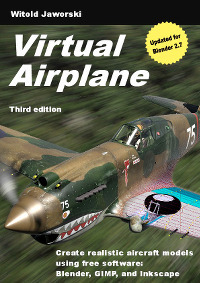 In this guide you can find detailed step-by-step instructions how to map various aircraft model meshes onto texture images, as well as all other details of “painting” the digital models.